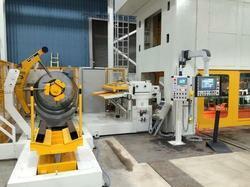 Normal Speed Mechanical Roll Feeder Mounted On Press for manufacturing various sheet metal components. 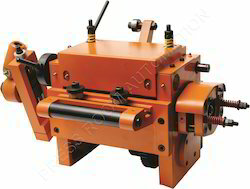 Normal speed mechanical roll feeder is mostly used for lighter gauge electrical components, lugs, washers etc. mfg. industries. 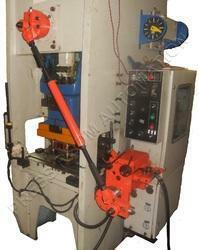 The above equipments are designed for Line speed of 12-25 Mtrs. Per Minute. 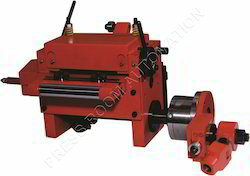 High speed mechanical roll feeder is best suitable for stamping industries. 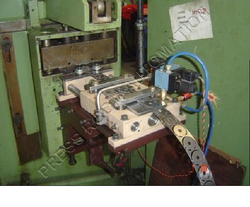 High speed mechanical roll feeder is connected to High Speed Press for manufacturing sheet metal components. We are one of the leading manufacturer and supplier of Pneumatic Feeder for Blanking Circlips & Washer. We obligated to meet the quality standards as per the customer demand. 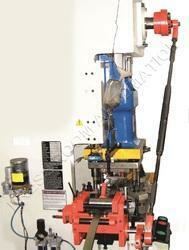 Looking for Mechanical Roll Feeder ?